Bayer purchased Monsanto for $62 billion, which could mean a rise in seed prices for farmers and food prices for consumers. Monsanta, at one time, used sterile “terminator seeds” which don’t produce viable seeds for replanting, forcing farmers to repurchase their product. 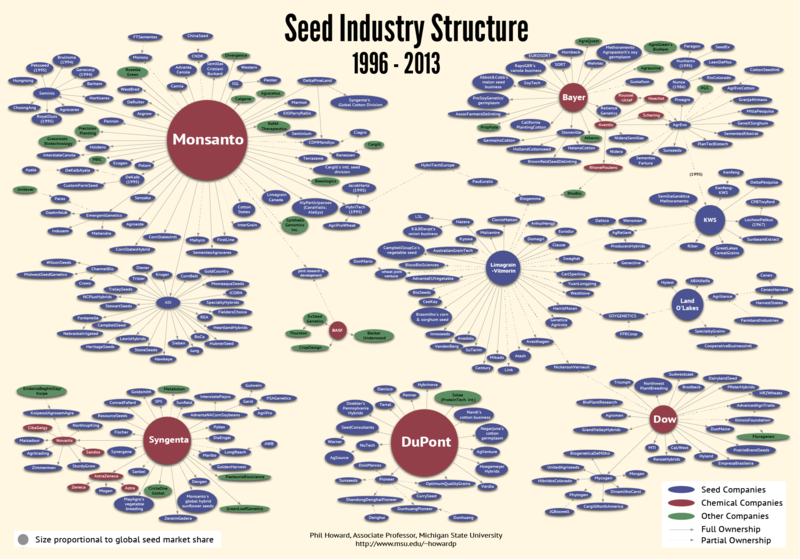 Is feeding more of the growing world population with genetically modified seeds a bad thing? More analysis at The Open Market Institute.